OSHA has issued an updated rule on slip, trip and fall hazards for general industry. The Walking-Working Surfaces standard includes new provisions under the general industry Personal Protective Equipment standards that establish employer requirements for using personal fall protection systems. The new rule allows employers to select the fall protection system that works best for them. The system requirements for general industry are now similar to those for construction. requiring worker training on personal fall protection systems and fall equipment. The rule affects a wide range of workers from painters to warehouse workers. It doesn’t change construction or agricultural standards. replacing cages and wells used as fall protection with ladder safety or personal fall arrest systems on all fixed ladders over 24 feet (20 years). “OSHA believes advances in technology and greater flexibility will reduce worker deaths and injuries from falls,” said OSHA administrator David Michaels. OSHA estimates the final standard will prevent 29 deaths and 5,842 injuries each year. 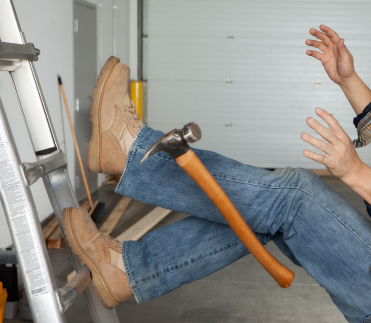 Fall hazards are a leading cause of worker deaths and injuries. There is one more new standard which could be finalized before the end of the Obama administration: beryllium. We’ll keep you updated.